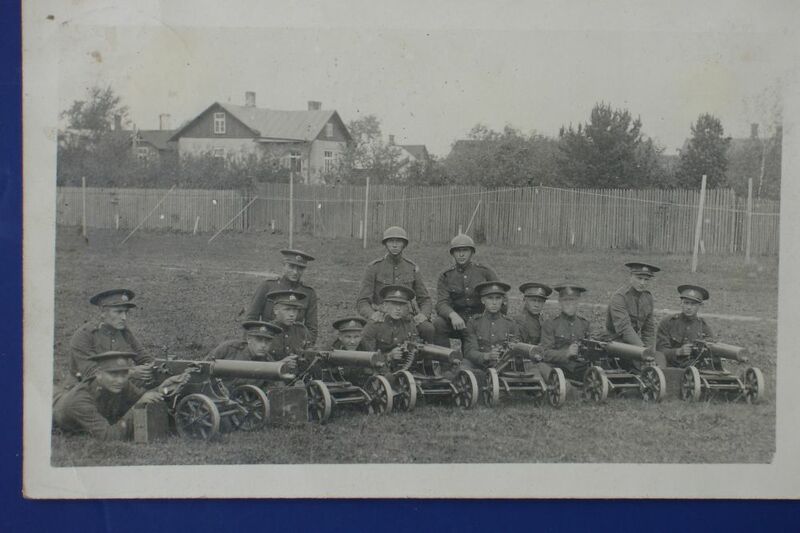 This is an interesting postcard type photograph of what appears to be Russian soldiers posed around Maxim machine guns. 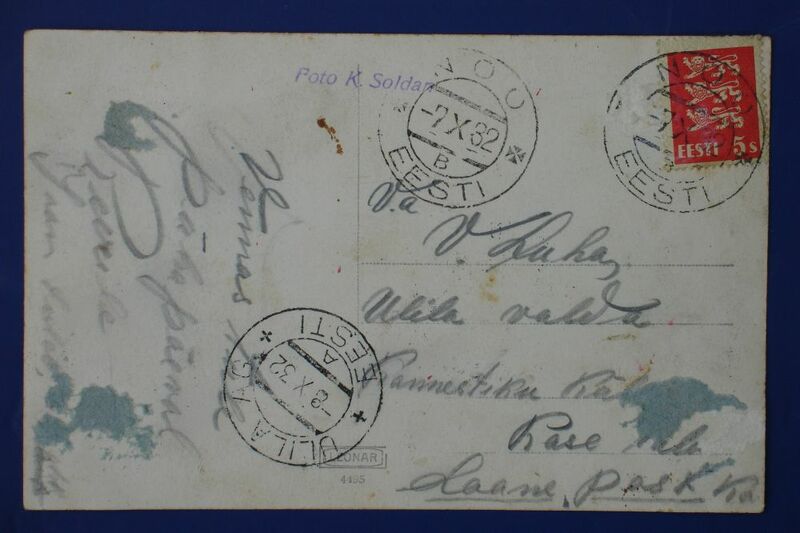 The back of the photo is postmarked from Ulila and Eesti which is Estonia. Its dated 1932. The photo is of a class with the instructors and officer kneeling behind the younger students. Wow, I can't think of a worse time to be a Russian officer in the Soviet Union than during the 30's. Joseph Stalin had an infamous track record for purging their ranks during this decade! I doubt many of these young Estonians were still alive by May 1945. The reason you can tell the guns are Russian is that their Maxims have Solokov wheeled mounts....a Russian design which allowed soldiers to cart heavy machine guns across a battlefield. They must have weighed a ton! These also appear to be the early design Maxim with the smooth non-fluted water jackets. These were used by the Russians in both their invasions of Finland and against the Germans in World War II. You'll occasionally see one in old WW2 film footage...I seem to remember there is also one used in the Movie "Enemy at the Gates". The firm IMA in New Jersey has sold quite a few identical but now deactivated Russian Maxims that were captured by the Finnish Army in the past few years. At any rate, this is an interesting photo that you won't often see here in the U.S.